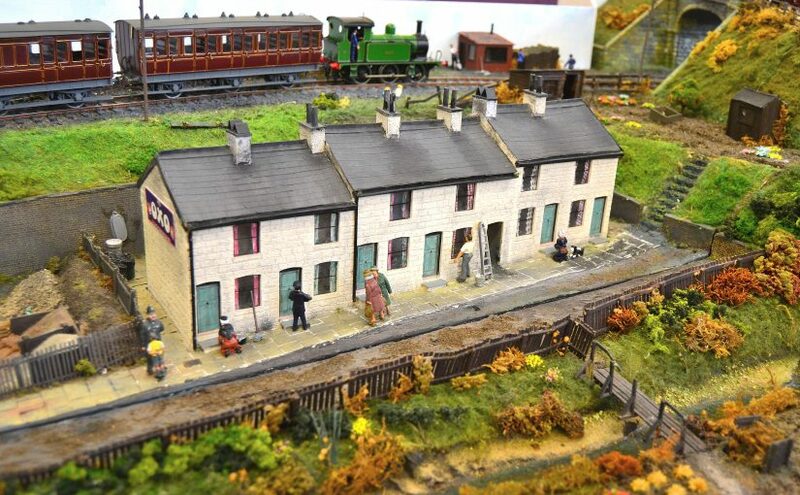 Founded in 1966, we are one of the most popular model railway societies in north-east Cheshire, with 60 members. The Society currently has layouts in O; HO/OO (American and British) and N gauges, and we would like to take this opportunity to invite you to visit our club house take a look around, have a chat with the members and take a cup of tea with us – all for free! Why not check-out our annual Open Day, held at our Club rooms in June and our annual Exhibition at Hazel Grove Sports Centre held at the end of October, please see the Exhibition and Open Day pages for full details. 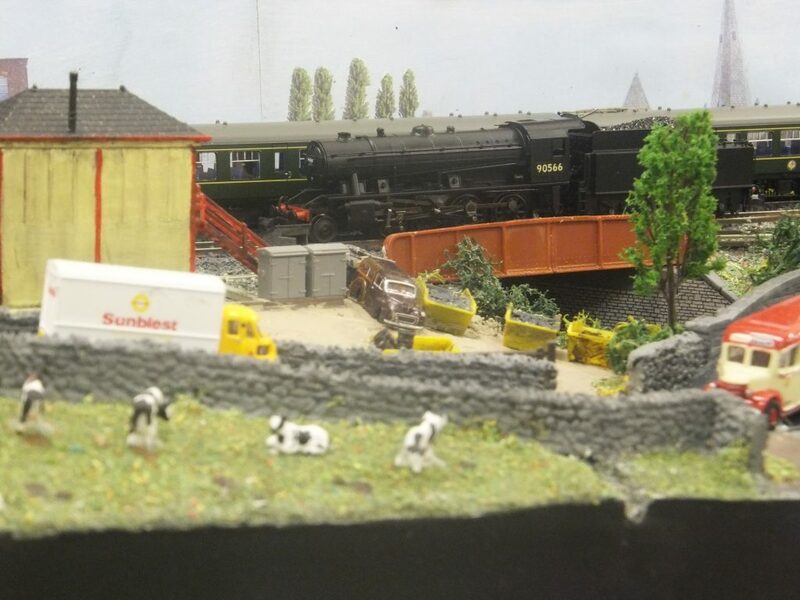 So, if you’re considering dipping your toes into the world of model railways; or maybe you’ve started a layout but got stuck and need some help, or you’re just plain curious, get in contact or come and see us one club night. We don’t bite, well, one of us does, but we keep him chained up in the corner making the tea…. 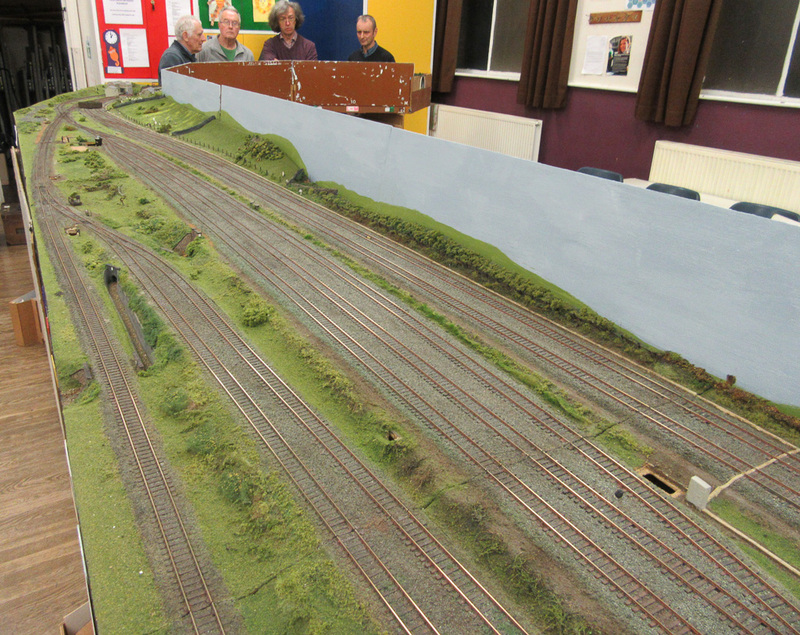 While you are here, have a look at our “railway safety layout” commissioned by Northern Rail. It can be viewed on YouTube. The Club meets on Monday & Friday evenings from 19:30 to 22:00 at the Methodist Church Hall, Wesley Street, Hazel Grove, Stockport SK7 4JQ. (Location map) where we have our meeting rooms and well equipped workspace. Please go to the car park at the rear of the building and ring the left hand door bell on the blue double doors for admittance. Please note that we do not meet on any of the following Bank and Statutory Holidays -Good Friday, Easter Monday, Early May Bank Holiday, Spring Bank Holiday, Summer Bank Holiday, Christmas Day and Boxing Day. Hazel Grove railway station is 5-10 minutes walk. The 192 bus service from Manchester city centre to Rising Sun (Hazel Grove) runs frequently along the A6 Buxton Road. You should alight at Hazel Grove Civic Hall. See Transport for Greater Manchester for current train and bus timetables. Scenic improvements to Ash Valley- note the subtle tools in use (hammer and wood-chisel)! 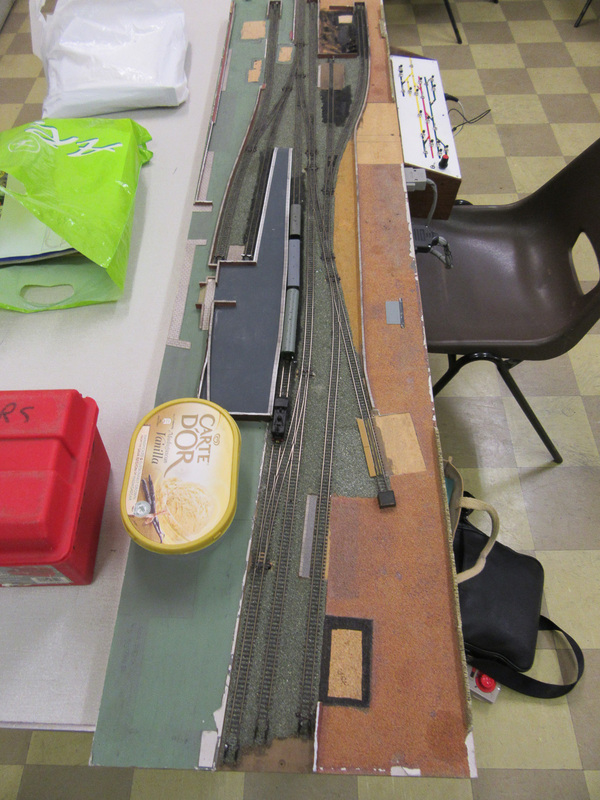 A new “N” gauge project underway. 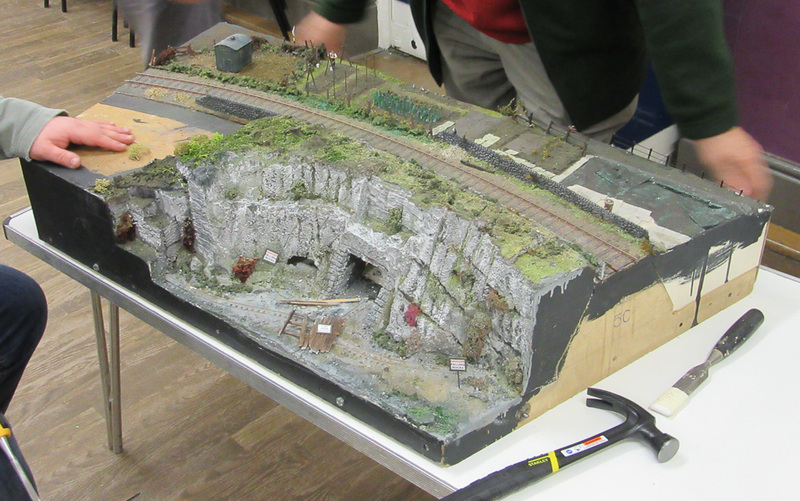 Testing the trackwork in the station area. Club nights give an opportunity for Members to work on private projects as well as Club ones. The “144 challenge” is such a project. This downloadable 144-diorama-narrative tells the story of how one member faced up to the challenge of creating a prize-winning diorama of no more than 144 square inches, including as many types of transport as possible.